NAIROBI, KENYA—As an exercise in traffic decongestion, Kenya’s fraudulent Christmas election was a huge success: The streets of downtown Nairobi have never been so clear. By any other measure it can only be seen, in the words of Red Cross secretary general Abbas Gullet, as a national disaster. Within a week of the poll, more than 400 people have officially been bludgeoned, hacked, or burned to death — the real number is certainly many times higher, and as of this writing continues to rise. 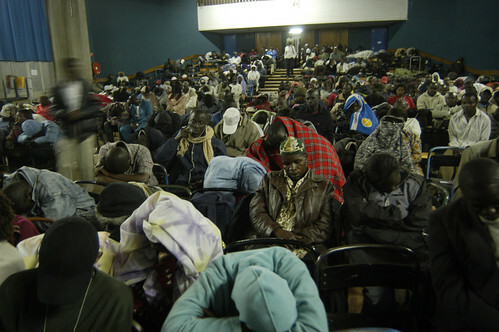 Throughout the country, police stations and churchyards have become desperate refugee camps populated by people whose neighbours would now like to kill them. 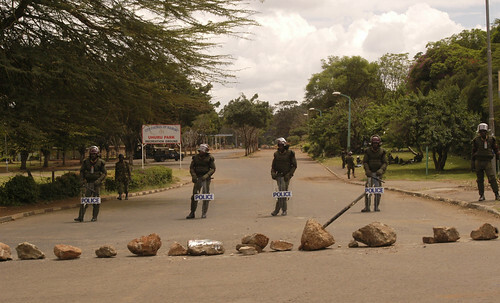 The Red Cross is unable to bring food or water to these refugees, estimated by Mr. Gullet to number more than a million, because Kenya’s highway system has been shut down by vigilantes manning armed road blocks. What began as a spontaneous eruption of political fury in response to a clumsily rigged election has degenerated into a national looting spree. How did it come to this? Most Kenyans are asking themselves the same question. 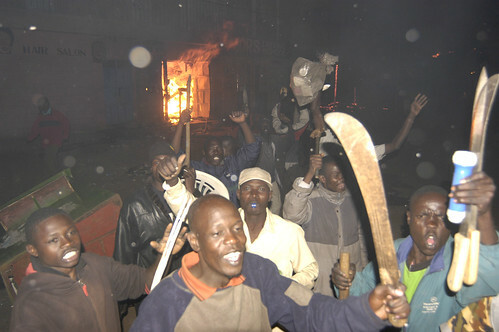 Until just before New Year’s Eve, Kenya’s peaceful reputation stood in uplifting contrast to neighbours like Somalia and Sudan, Uganda and Rwanda. 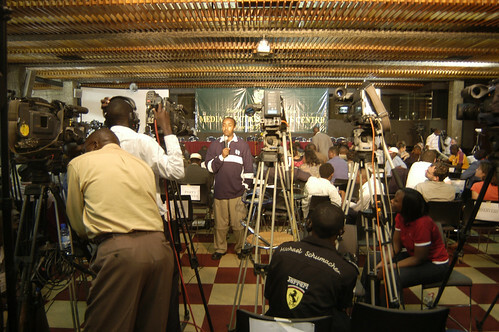 The 2002 election was an orderly event that swept away decades of one-party rule, leading to five years of press freedom, free primary education, and many more right-minded developments. 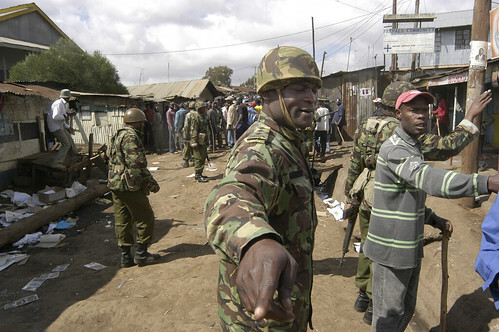 The Electoral Commission of Kenya, hired to oversee the 2007 poll, was headed by a man held in universal esteem, the wry-witted Samuel Kivuitu. 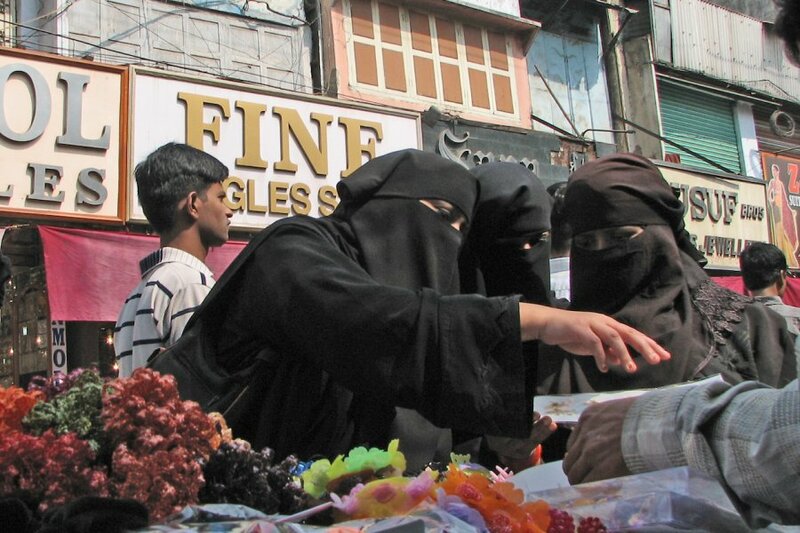 Thousands of domestic and international observers were invited to make sure nobody cheated. Regardless, many people did. What began as an orderly election day was followed by a suspiciously long counting period. All across the country, electoral officers mysteriously turned their cell phones off and disappeared with the official counts. 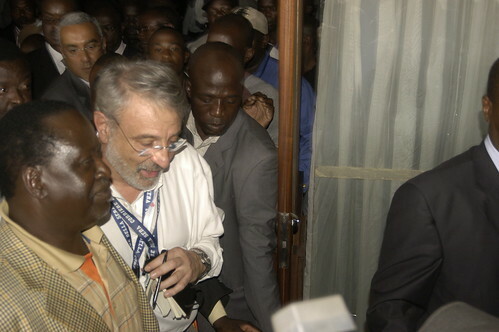 Some waited two days to resurface with up to 20,000 more votes for the incumbent, Mwai Kibaki, than EU observers had recorded in their presence. As results trickled in, opposition leader Raila Odinga watched his lead over Kibaki dwindle from over a million to half a million, then three hundred thousand, then forty thousand votes. 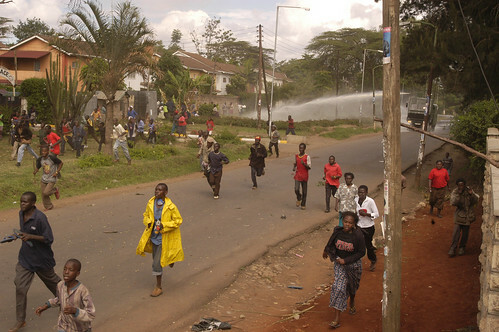 As both sides called on each other to accept defeat, the slums housing half Nairobi’s population began preparing for war. 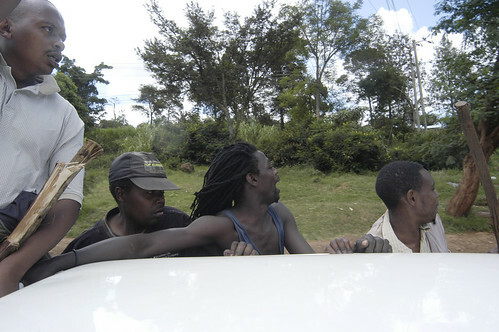 Youths armed themselves with machetes, sticks, pipes and arrows; rumours flew by SMS, radio, television and word of mouth. 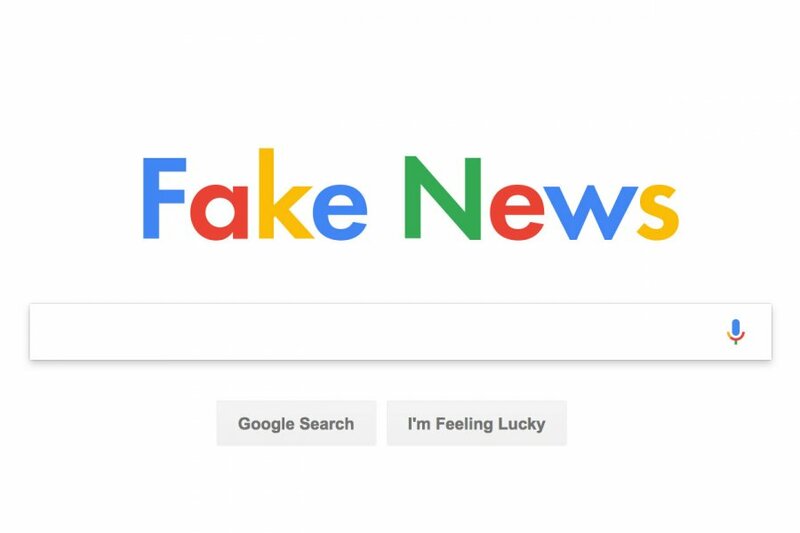 Time accelerated and confusion gripped the country, but one thing grew increasingly, uncomfortably clear: someone was manipulating the results. The slums had already begun to burn. 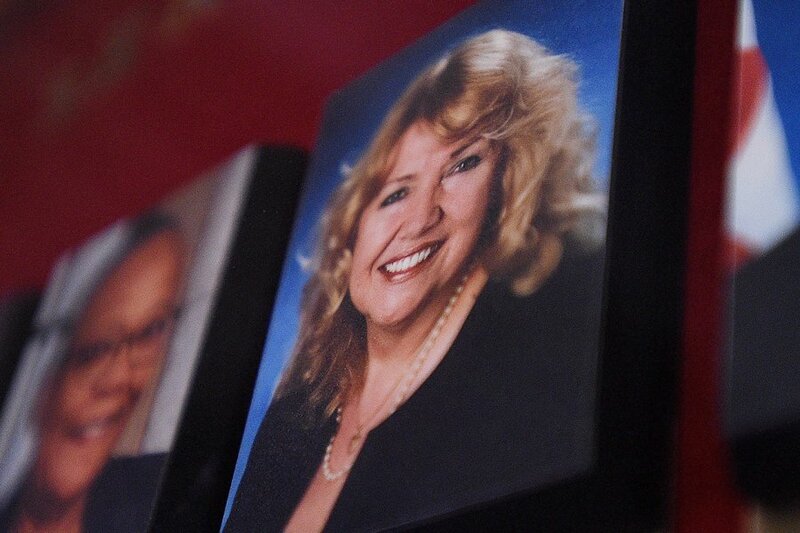 In a rare display of punctuality, voting began and finished on times at most polls across the country, allowing clerks to start counting ballots before dark on Dec. 27. Each candidate was permitted two observing agents. Only two serious contenders vied for the presidency, but with more than 117 parties registered for civic and parliamentary seats, counting went well into the night. 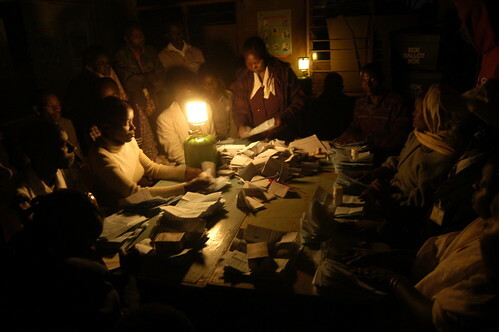 Most stations finished counting by midnight, at which point the results were to be ferried to constituency headquarters. 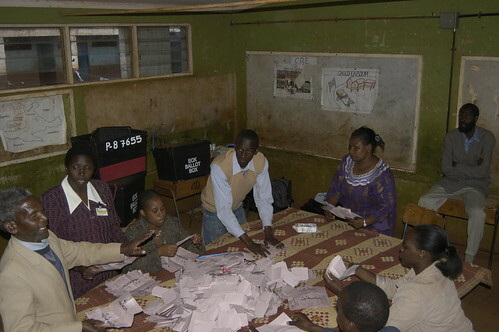 At last, the cheating could begin; this gymnasium in Nairobi was but one of many headquarters where agents and observers waited in vain for tallies that wouldn’t show up until the following evening. 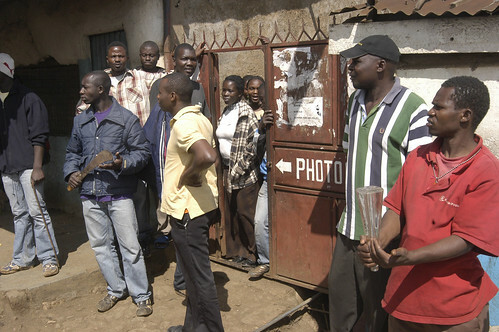 By Friday afternoon, the day after the vote, the waiting game assumed lethal overtones in slums like Kibera. A handful of lynchings precipitated military deployment to the troubled slums. Peace-minded residents watched fearfully as gangs began to mobilize and maraud in slums throughout the country. Where there are mobs, there are tire fires. Saturday came and still no news; riot police were now manning checkpoints throughout the city. An eager young democrat sharpens his voting credentials. 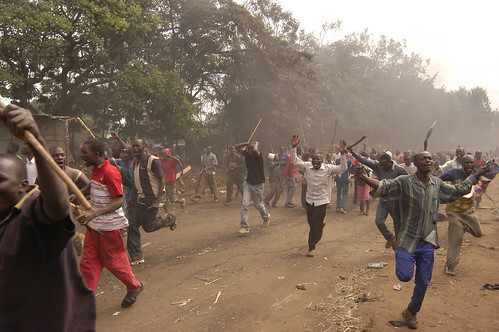 News that a Kikuyu – the tribe to which Kibaki belongs – had been lynched by one of Raila’s Luo tribesmen brought hundreds of angry youths into the streets of Dagoretti. As we drove slowly through the crowd, our vehicle was hijacked for a joyride by rioters looking for a victim. 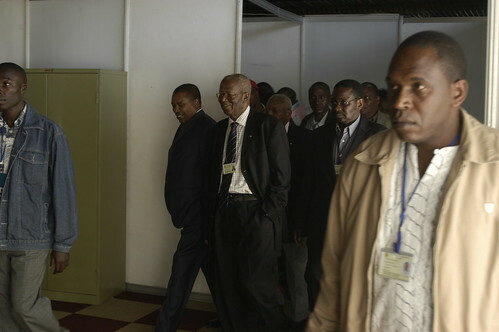 On Sunday, scores of exhausted reporters gathered at the Kenya International Conference Center to hear what Electoral Commission chairman Samuel Kivuitu finally had to say. Rumours had flown all day that Mr. Kivuitu, smiling in the middle, would announce Kibaki’s victory. By now it was clear that this would produce a violent reaction, and journalists conjectured that his announcement would immediately be followed by a declaration of emergency rule. But Raila Odinga, closest to the camera, interrupted the press conference by producing an electoral official who declared he’d witnessed fraud on a grand scale. Thus discredited, Mr. Kivuitu retired to a private room to announce Kibaki’s victory in peace and quiet. The announcement was broadcast on the state TV station, KBC, which had already been widely condemned for its pro-Kibaki bias. 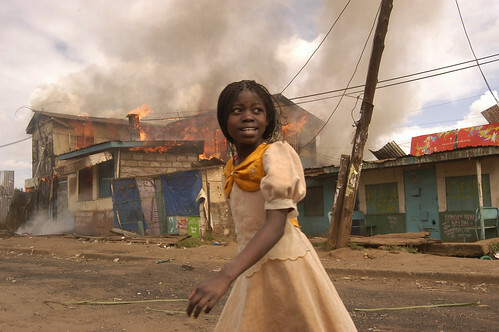 By the time Kibaki was being sworn in at State House, fireballs were erupting over the slums as furious residents torched homes, businesses, gas stations, and anything else they could put a match to. 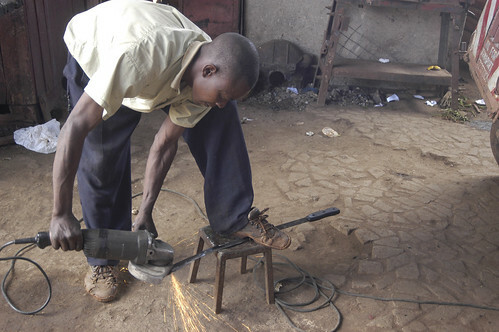 Here in Kibera, some of them were having a conspicuously good time. 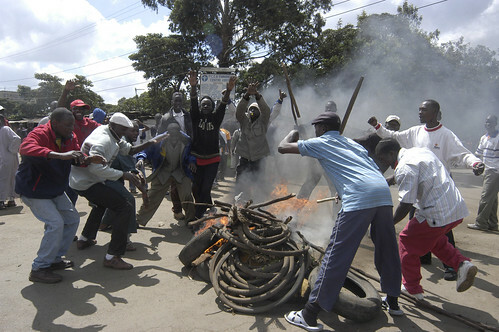 “No Raila, no peace,” was the universal chant. At this point I was regretting my decision to gauge the mood of the people. 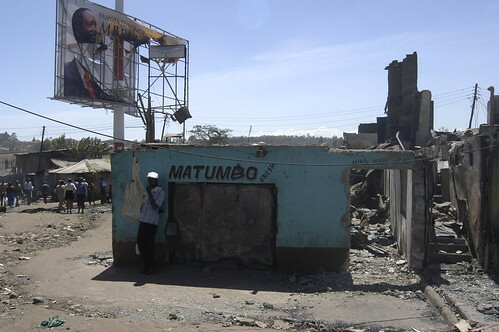 Deeper into Kibera where the fires hadn’t yet reached, wary residents armed themselves and prepared for the worst. 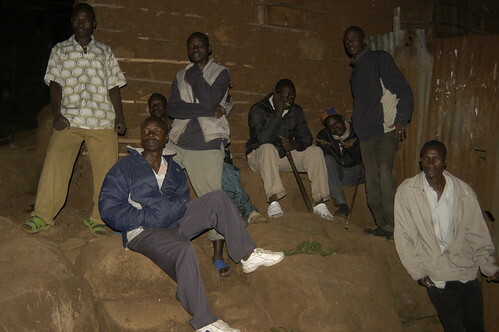 Chris Ojow, a colleague who grew up in Kibera, was my guide throughout the night. 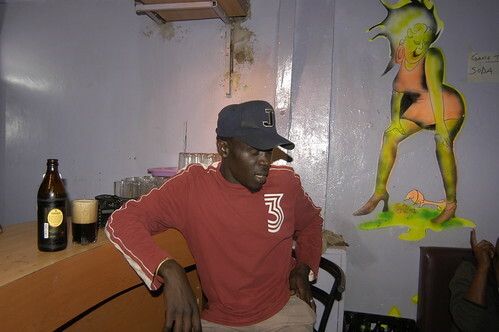 When gunshots started crackling in the direction we’d come from, he found us a safe route out of Kibera that ended at Whispers Pub. The following day, the extent of the damage became visible. 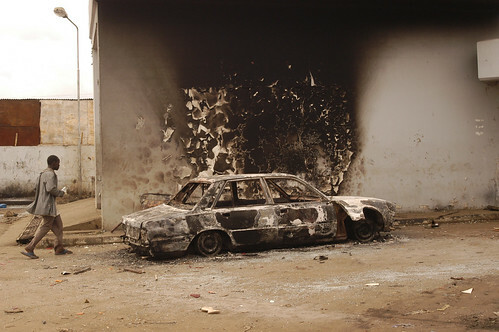 Reports started pouring in that every city, town and village in the country had been torn apart by violence. 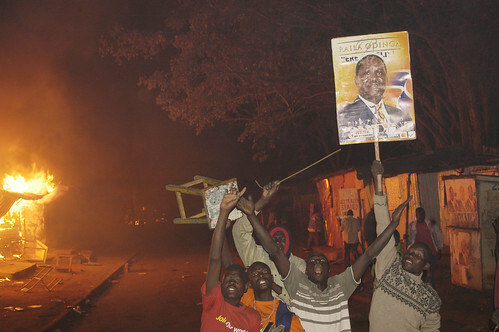 Raila Odinga tried to hold a rally in Nairobi’s Uhuru Park, at which he intended to declare himself president. But riot police sealed off not just the park, but the entire downtown core, frustrating the attempt. Elsewhere, continued rioting prevented the Red Cross from entering trouble spots. The man on the left is Abbas Gullet, secretary general of the Red Cross and Kenya’s Person of the Year. 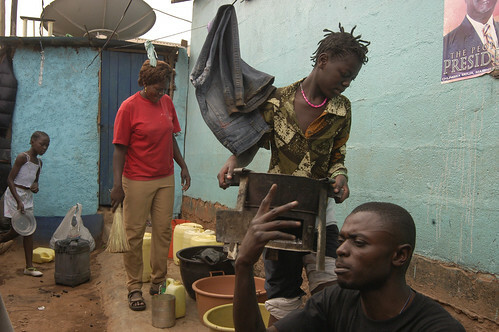 A moment of disgruntled calm in the back yard of a Kibera household, the day after the first night of riots. But moments of peace were the exception, as the slum kept burning day and night. With Odinga refusing to accept defeat, rumours spread faster than news via SMS. 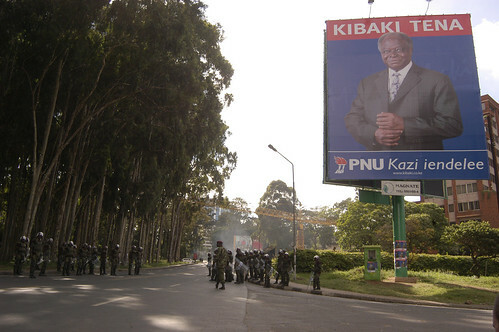 At one point, word went out (falsely) that Kibaki had resigned; the main road leading out of Kibera and into Nairobi filled with thousands of fiercely joyous Odinga supporters. But no sooner had they reached the city proper than they were turned back by the water monster. 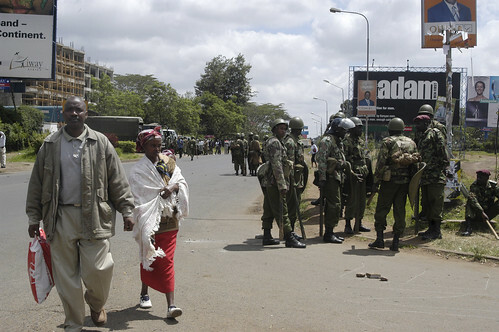 A ghostly calm descended on Nairobi, presided over by hundreds of crack troops. 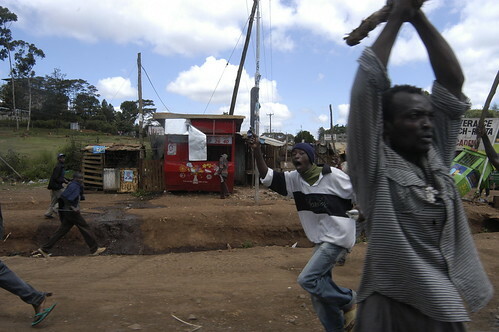 In other cities across Kenya, the absence of a military presence led to widespread looting and an estimated loss of $350 million (Cdn) a day. 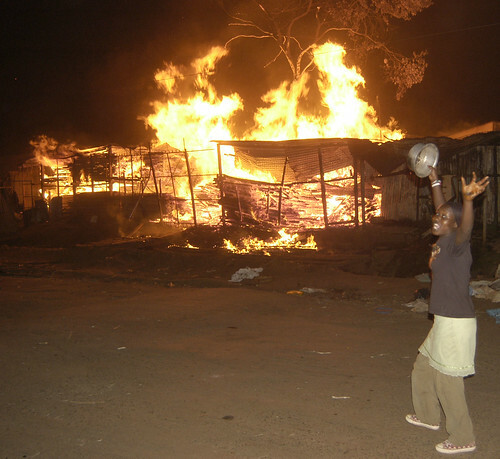 A fairground near Kibera became a refugee camp for the hundreds of families whose houses were burnt down. Few had time to grab anything more than their children. They had nothing to eat and no blankets until the Red Cross showed up two days later. When word got out that food had been delivered, armed hooligans tried raiding the fairgrounds but were turned back by security. 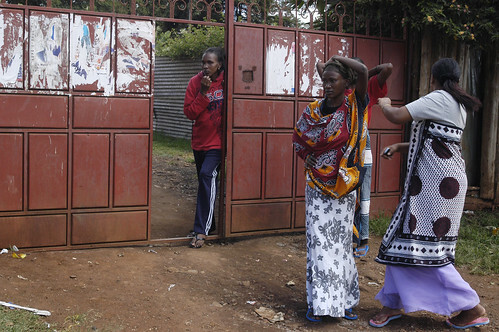 After the attack, guards would only let women and children inside the grounds. 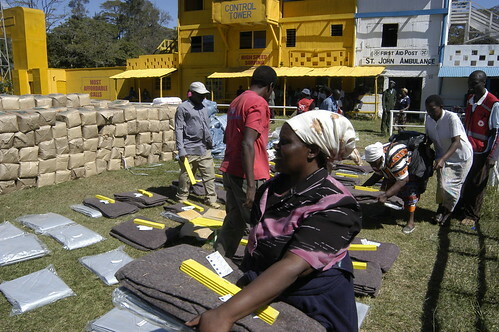 But as supplies run out once more, even these are being turned away. A crowd of well over 100 desperate young mothers had gathered at the gates when I visited, begging to be let in. As the situation drags on, there is little to do but wait and watch the tension build, and wonder what will happen next.